Chelsea travel to South Wales on Sunday to face Cardiff City, with their top four hopes in the balance. Cardiff come into this fixture on the back of a three-week break, due to the FA Cup and internationals. Before that though, they enjoyed a thoroughly comprehensive 2-0 victory over West Ham at home. Goals from Junior Hoilett and Victor Camarasa gave Bluebird's fans hope that they can survive for another season in the Premier League. Chelsea will have welcomed the international break with open arms as the two previous league fixtures ended in a draw and defeat, which put a dent in their top four hopes. They missed the chance to leapfrog Tottenham in the table, when they lost in their last game, away at Everton. Cardiff took a big step in the right direction last time out. Not only did they get the three points, they played extremely well. They gave West Ham no time on the ball and limited them to only a couple of real chances all game. Cardiff looked dangerous going forward through out that game and new signing Oumar Niasse was unlucky not to score at least once in that game. The Bluebirds have a tough trip to Manchester City coming up in mid-week, so any realistic hopes of picking up points will be against Maurizio Sarri's stuttering Blues side. Neil Warnock was upbeat in his pre-match press conference saying: "We're still putting the frighteners up one or two other teams. "I think the glass is over-brimming at the moment, not half full or half empty. I think we should be eight or nine points clear of where we are, but we've still had eight clean sheets. "You forget where we were two years ago and you get carried away, but the players keep fighting and coming back when everybody writes us off." All the talk this week, in the Chelsea camp is, will Callum Hudson-Odoi finally start a Premier League game. After impressing for England in both fixtures, there have been greater calls on Sarri to play the young winger. Hudson-Odoi has shown in the cup competitions this season that he is more than good enough to be starting in the league and the fact that he has been selected for the England senior side shows his quality. Chelsea did everything in their power to keep Hudson-Odoi at the club in January, rejecting several offers from German giants Bayern Munich, but if the winger does not get the game time, they might not have a say in whether the player leaves or not. Sarri had this to say on the subject in his pre-match press conference: "We have to play eight matches in 28 days, so he will start in two or three matches. "For every competition there is no difference, so I am really very confident with him. "He has started a lot of matches. Not in [the] Premier League, but by chance - it is not a problem for him to start a Premier League match, he is ready. "But I can only play with two wingers, we have Hazard, Pedro, Willian. Probably in the near future he will start in 75 or 80% of matches. 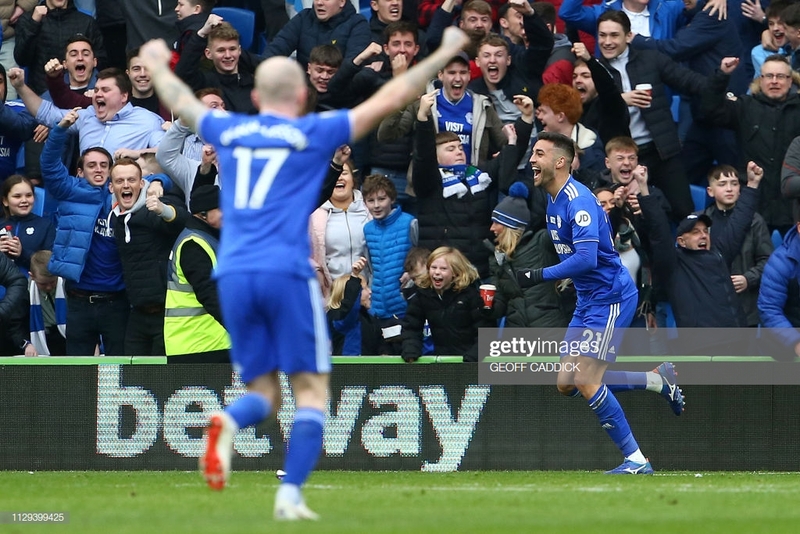 TheBluebirds will be without joint-top scorer Callum Paterson for the rest of the season, as the forward picked up an injury on Scotland duty. Sol Bamba remains sidelined, whilst Jazz Richards isn't back to full fitness yet. Ruben Loftus-Cheek and Ethan Ampadu face late fitness tests after missing out on international duty with back problems. Davide Zappacosta will also face a fitness test after recovering from an ankle injury. Cardiff City vs Bournemouth Preview: Can the Cherries build on huge win? Cardiff City v Southampton preview: Can Hasenhüttl make an immediate impact? Cardiff City v Brighton & Hove Albion Preview: Can the Seagulls continue their good start?